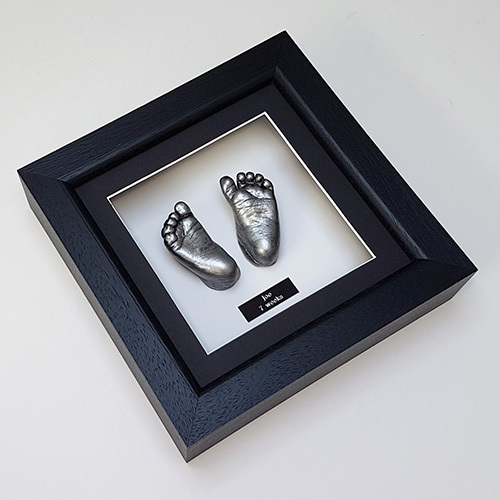 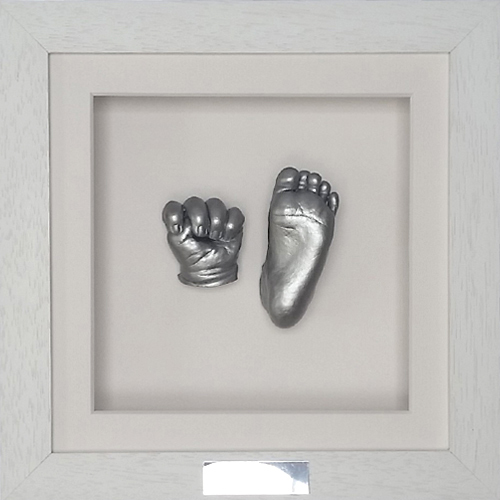 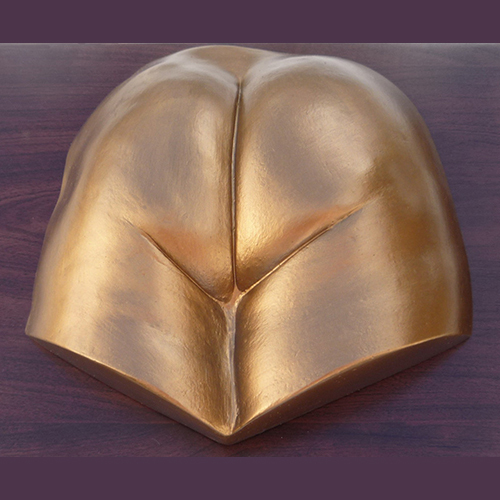 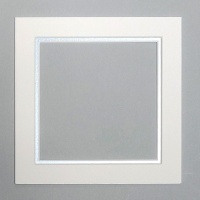 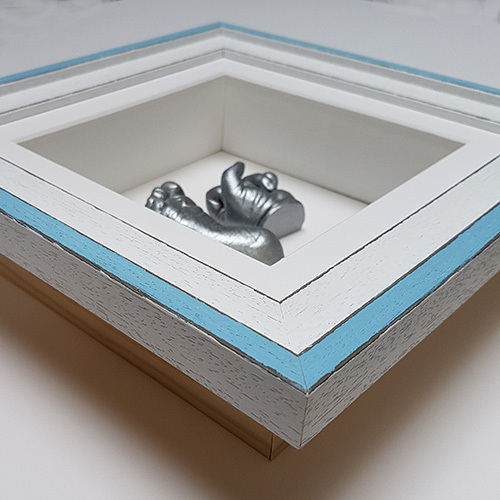 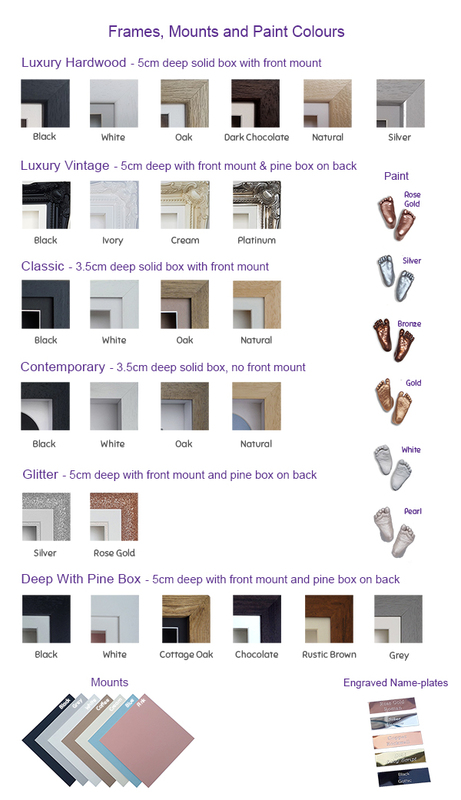 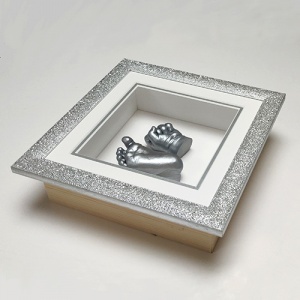 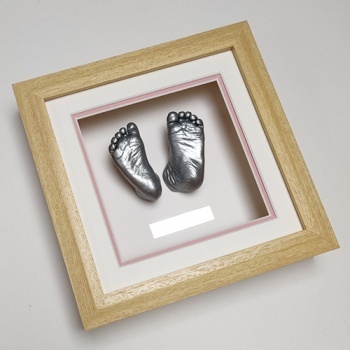 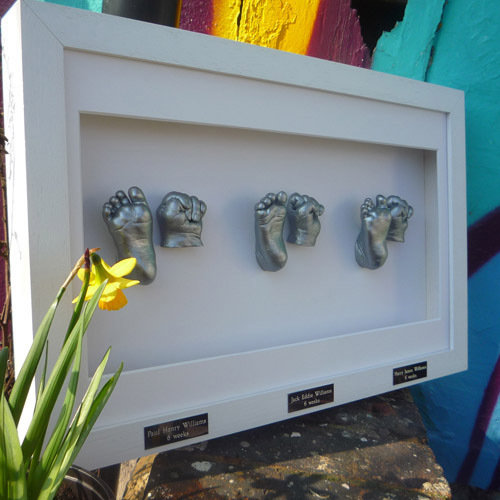 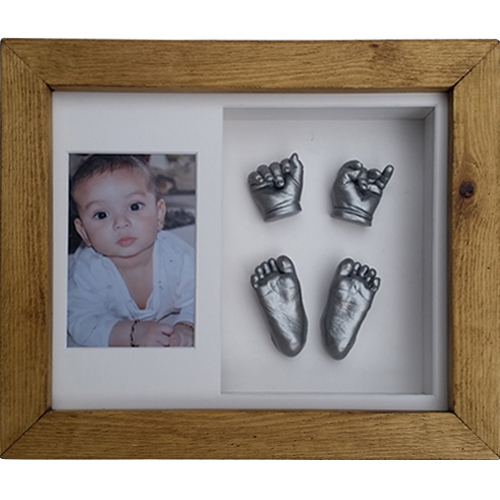 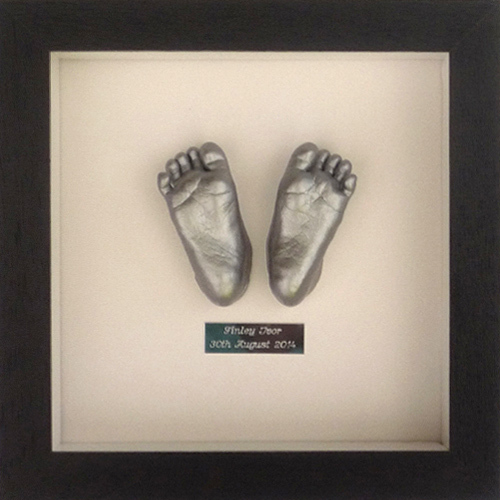 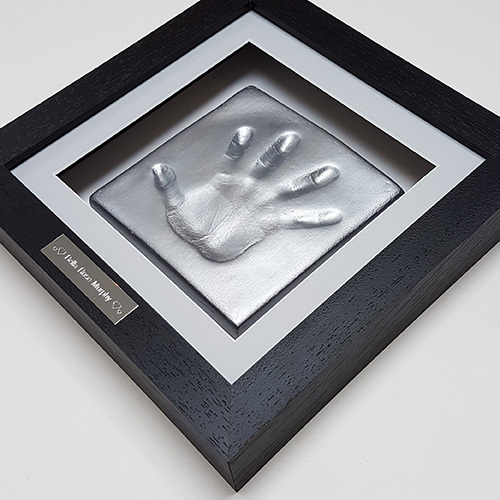 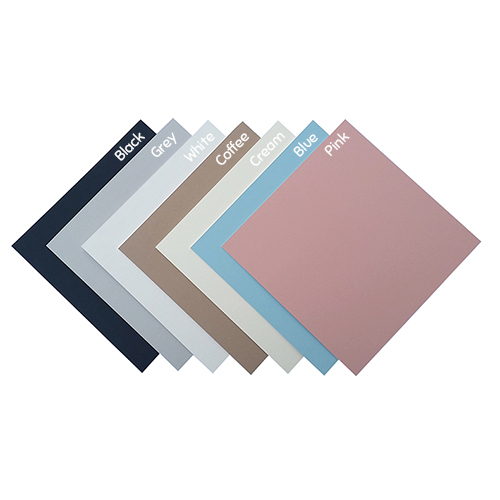 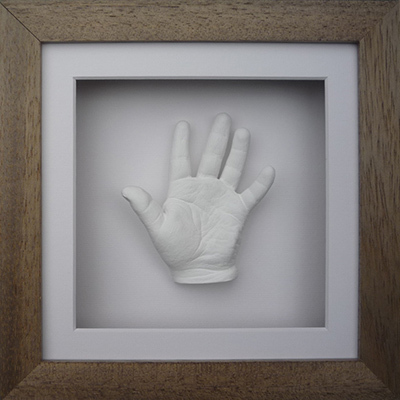 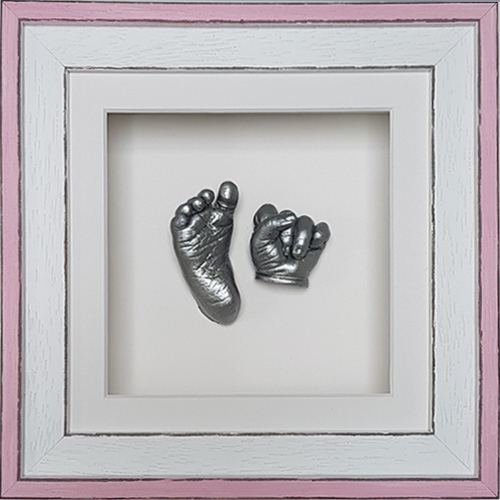 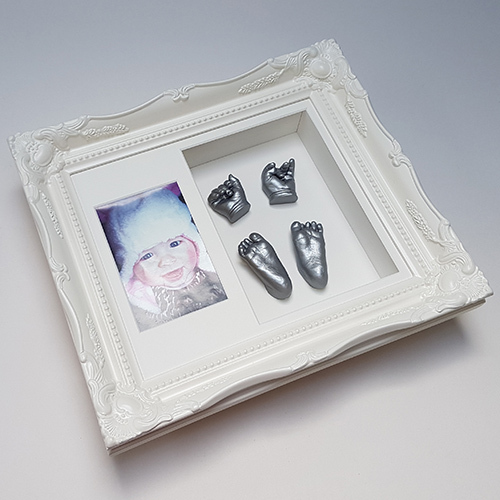 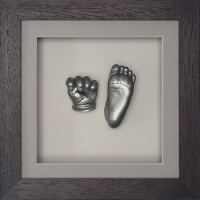 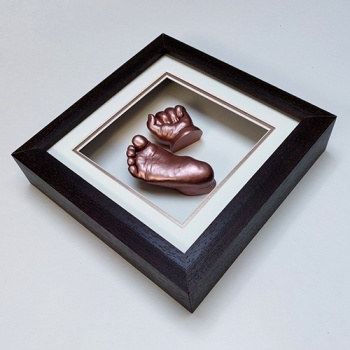 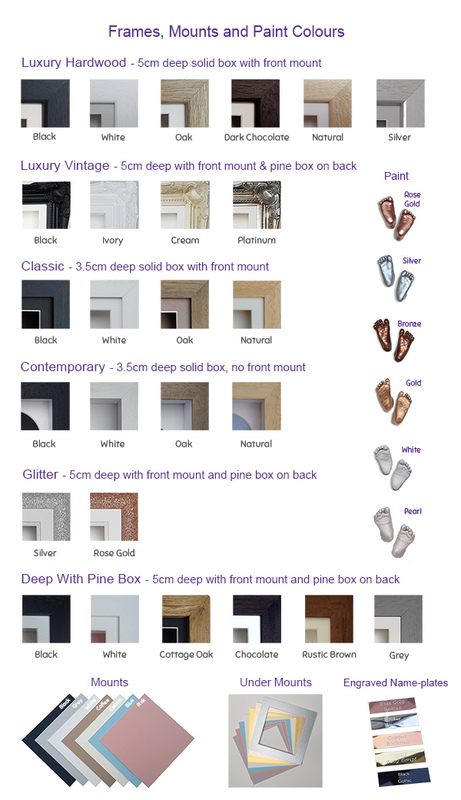 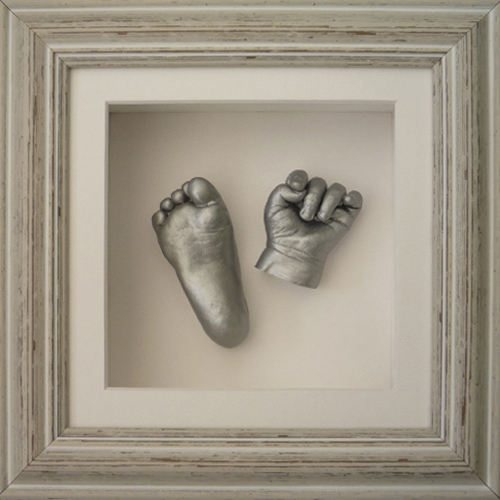 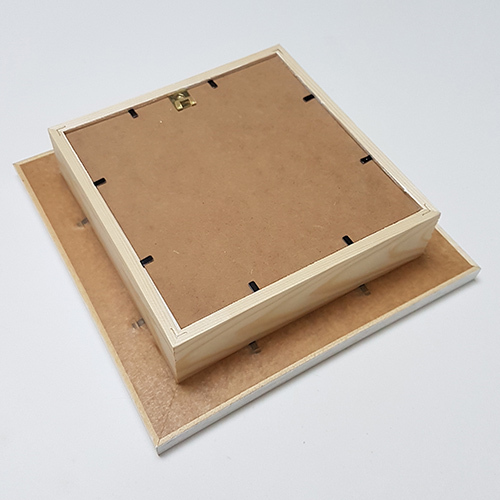 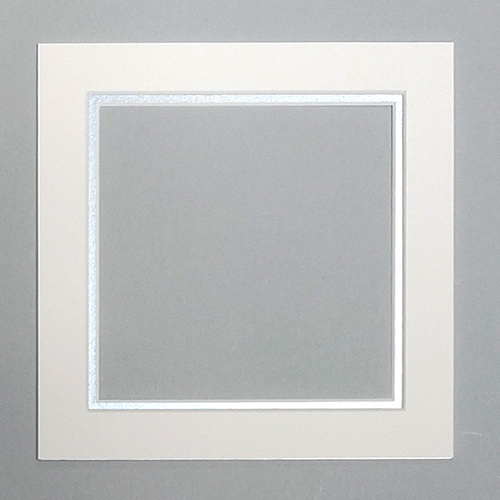 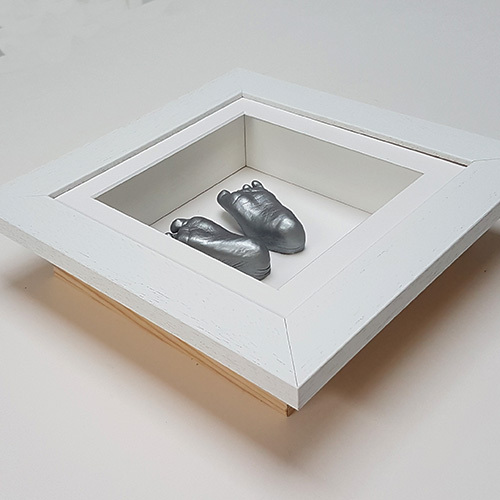 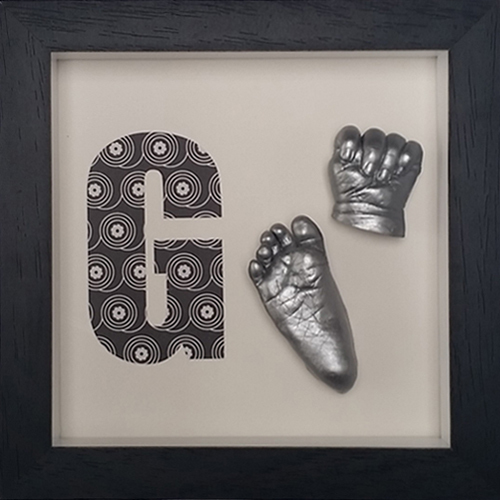 A baby casting kit with a square 8x8" 4.5cm deep bevelled box frame with front mount including materials for up to 8 casts with your choice of paint. 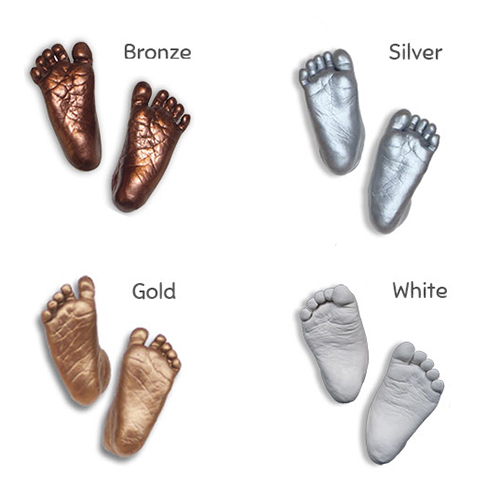 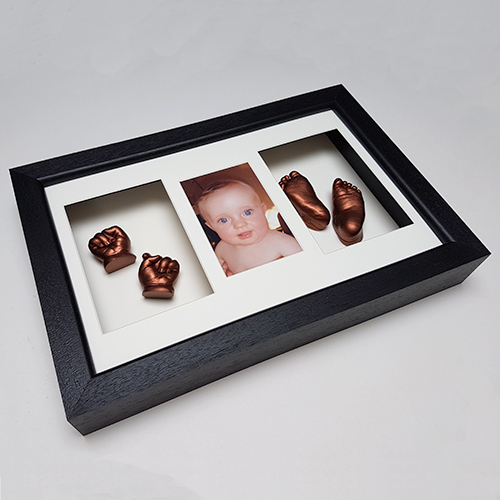 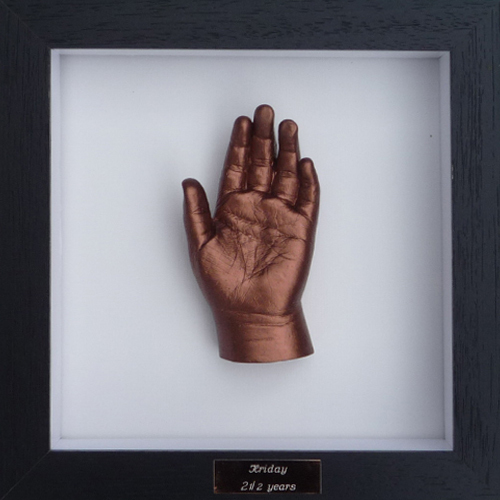 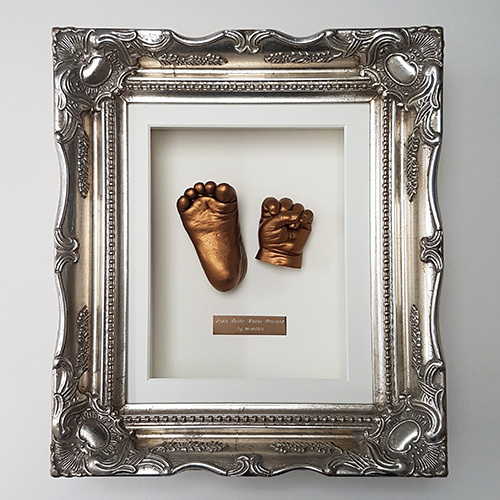 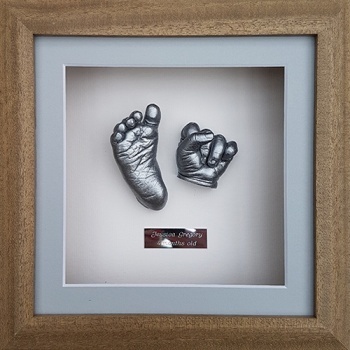 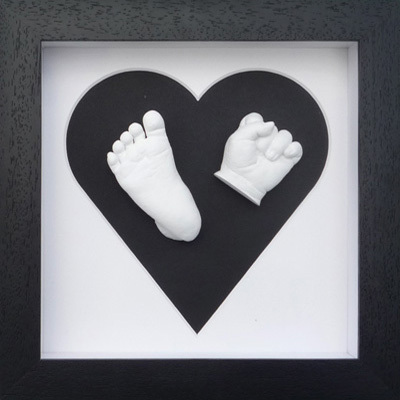 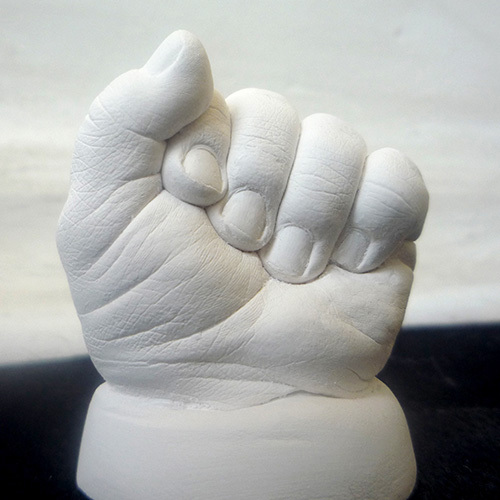 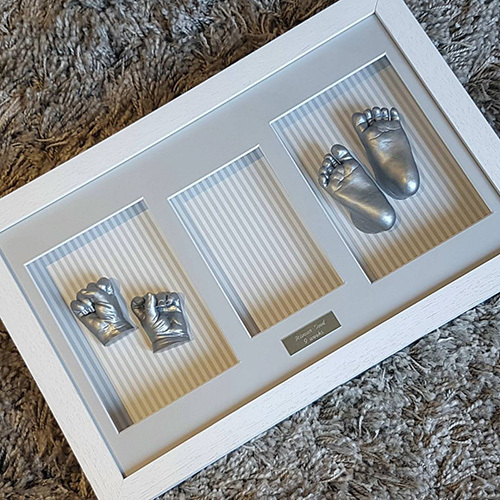 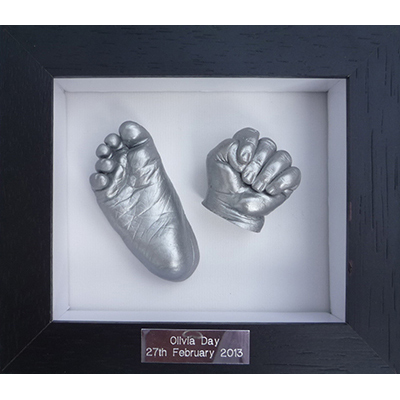 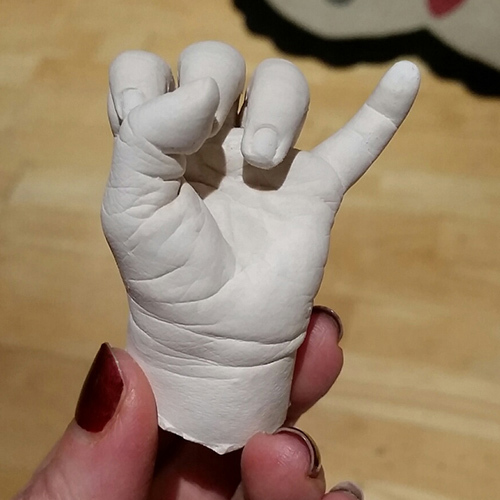 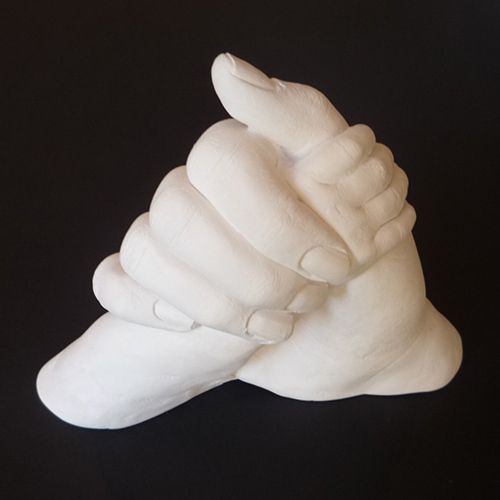 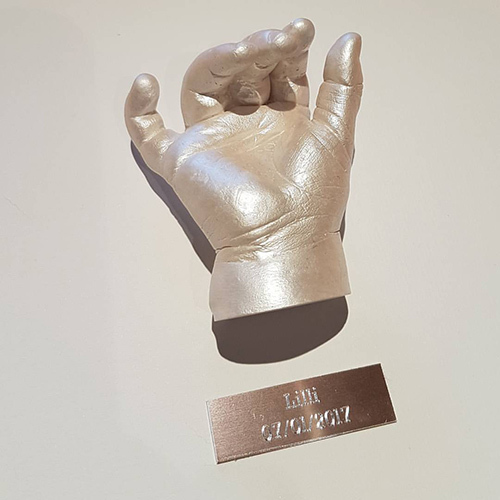 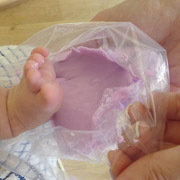 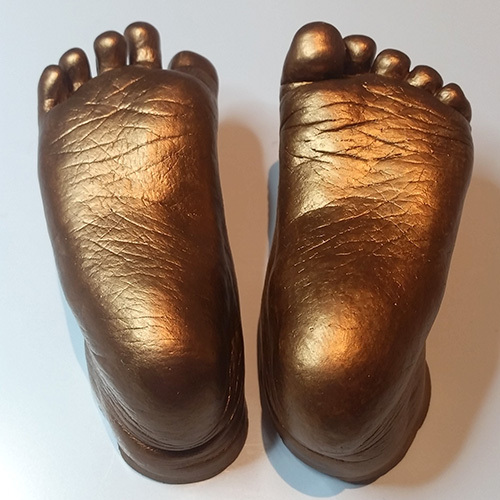 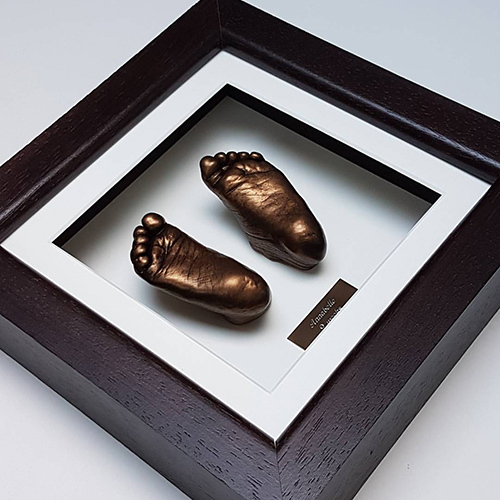 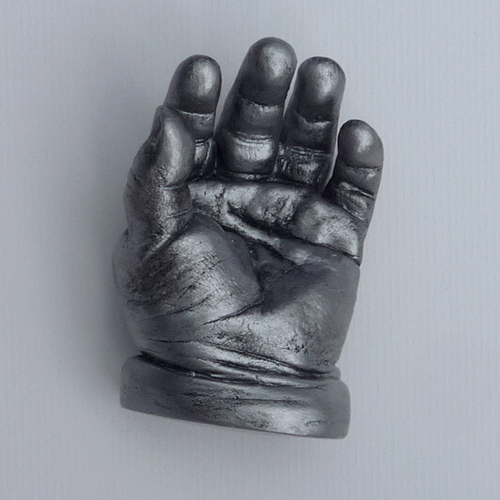 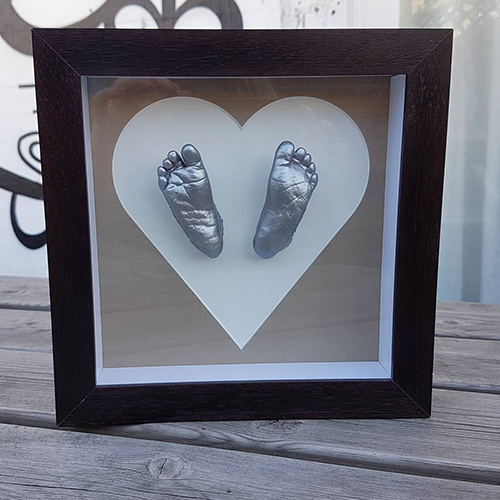 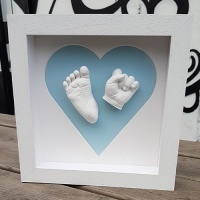 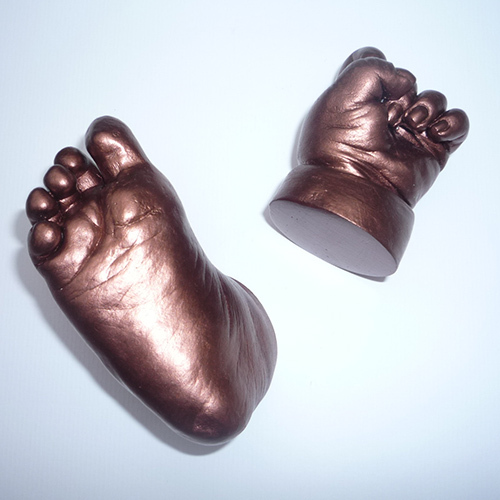 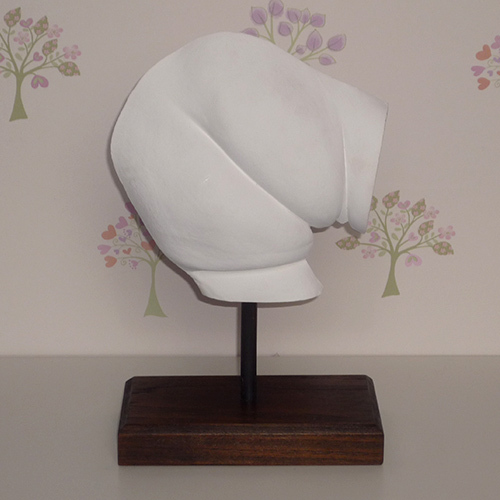 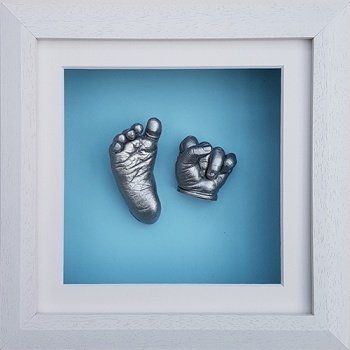 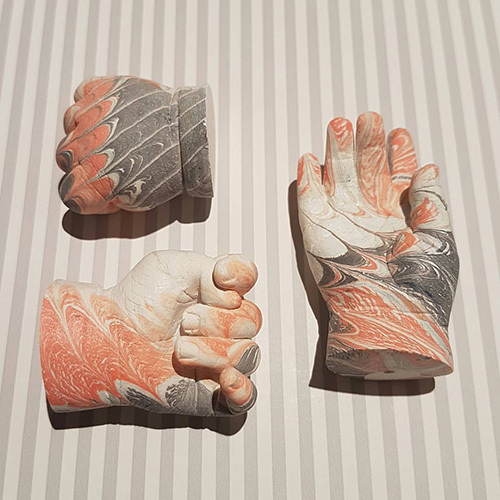 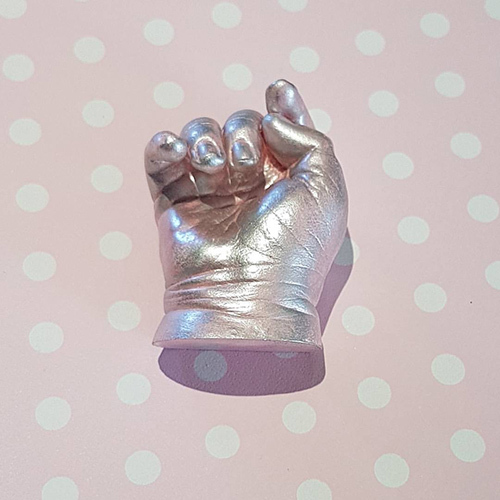 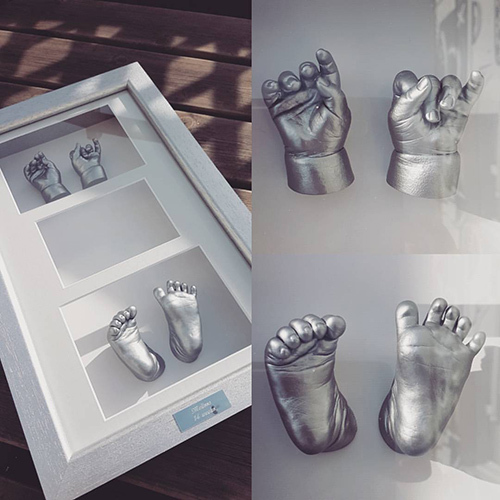 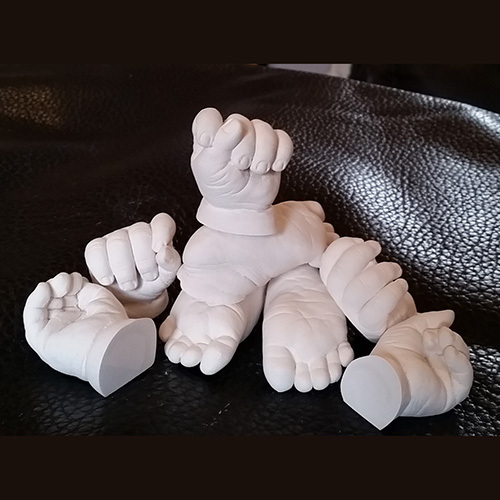 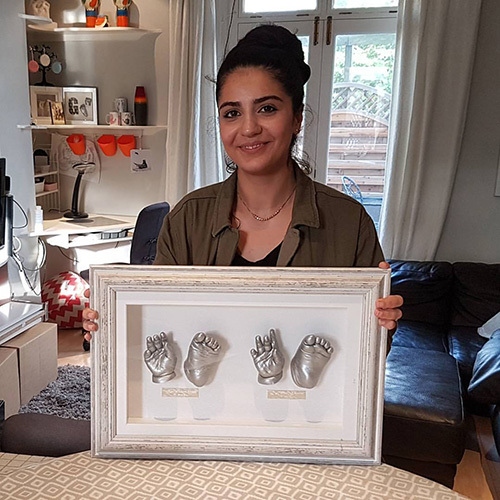 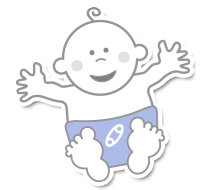 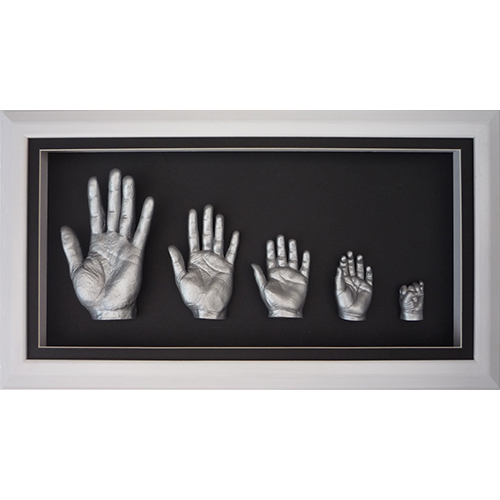 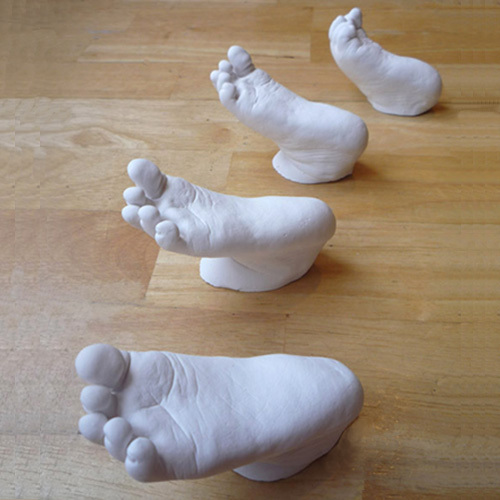 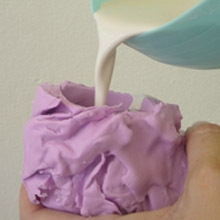 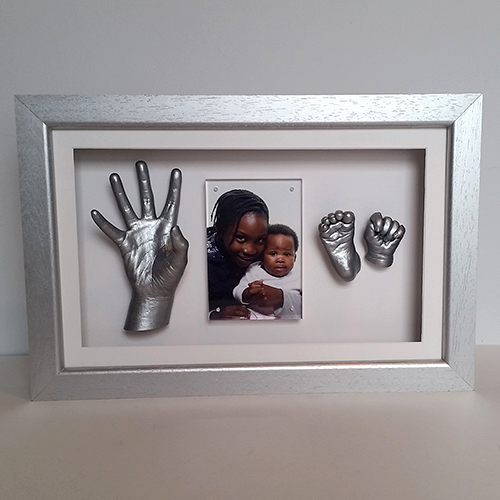 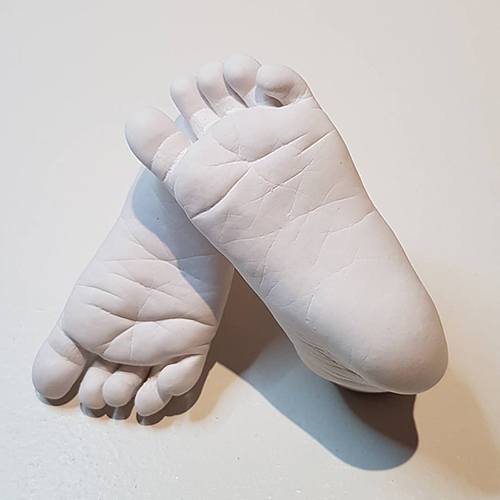 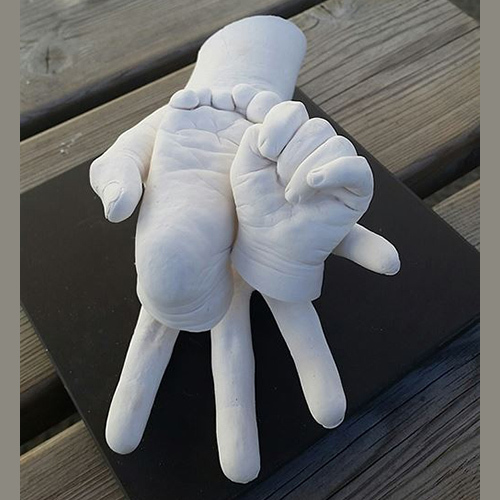 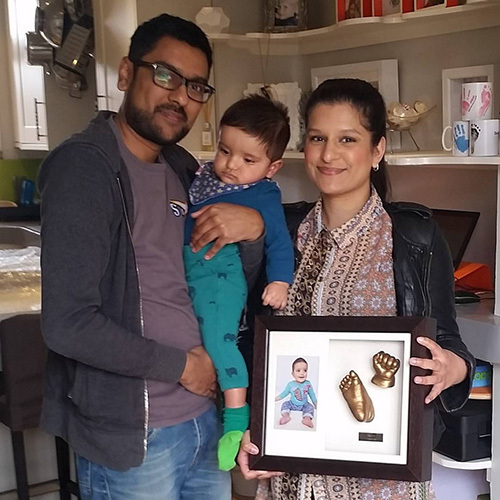 This lovely baby casting kit makes a special gift for new parents and contains enough material to make up to 8 hand or foot casts of a newborn. 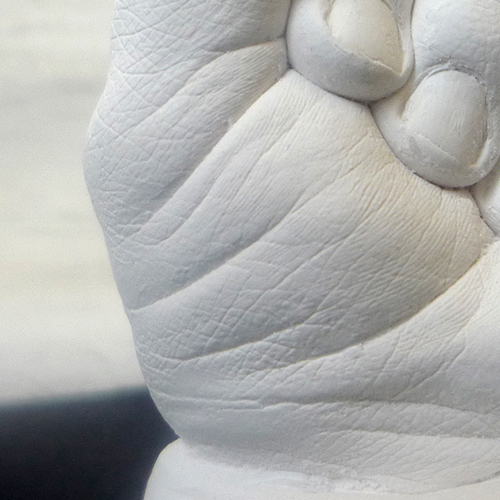 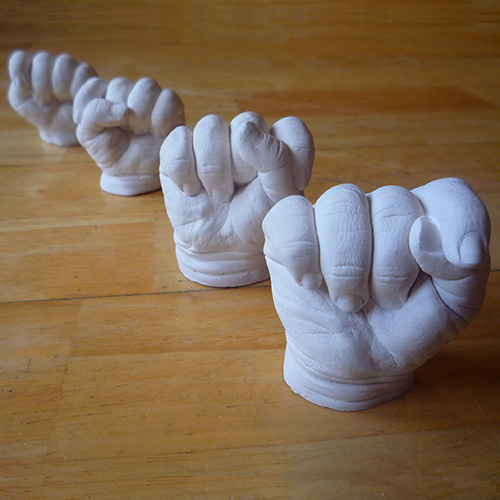 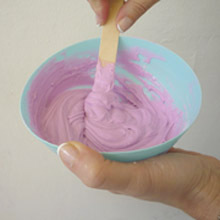 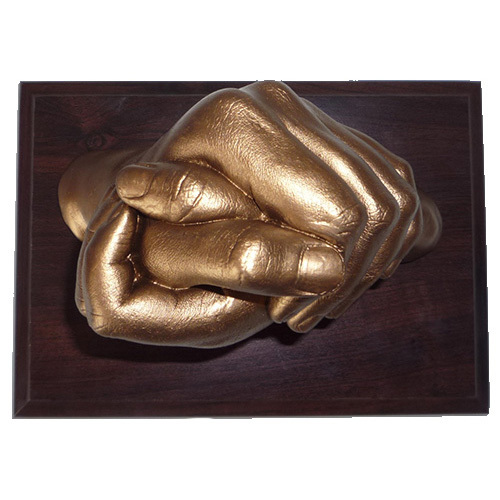 We suggest making 2 feet before attempting hands as they can be trickier. 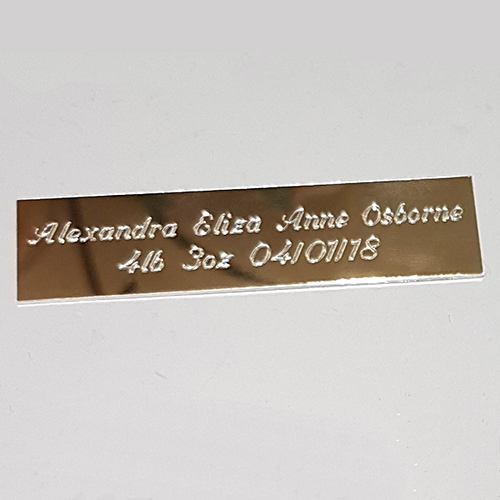 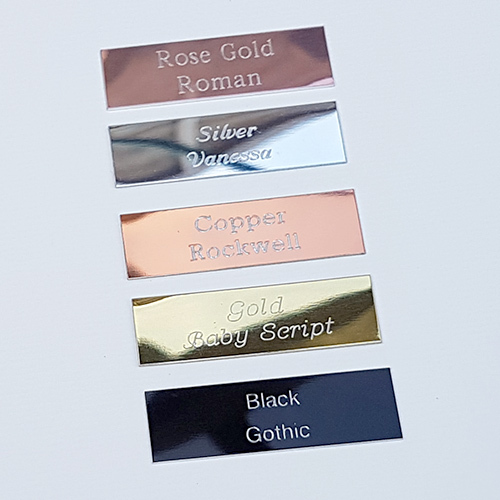 You can optionally add an engraved name-plate to your order to stick to the back mount (with your casts). 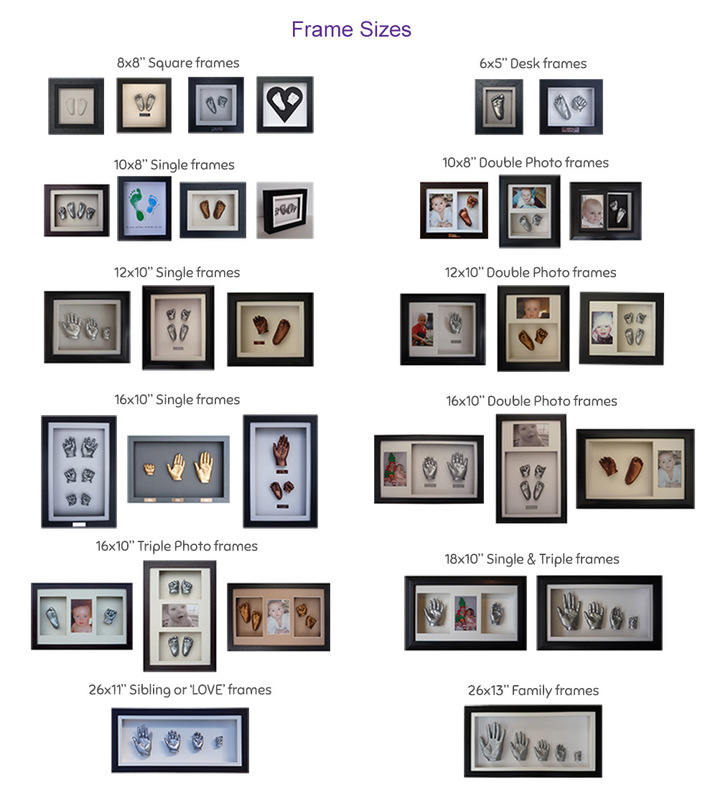 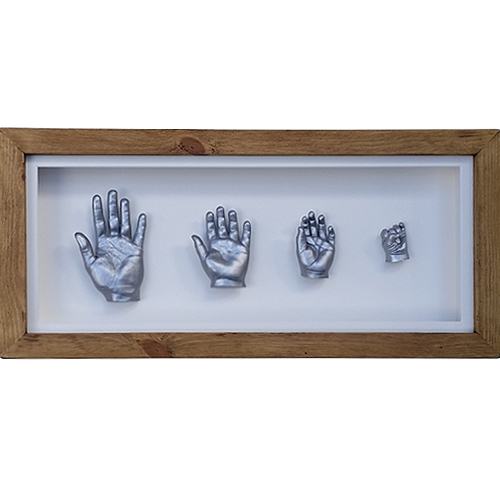 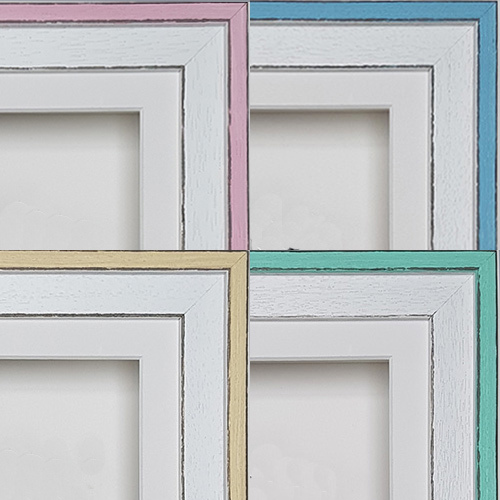 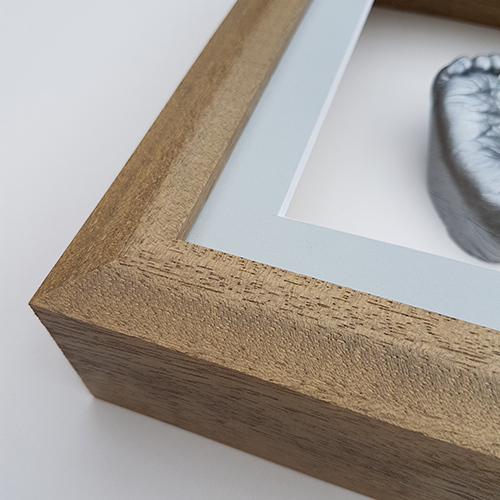 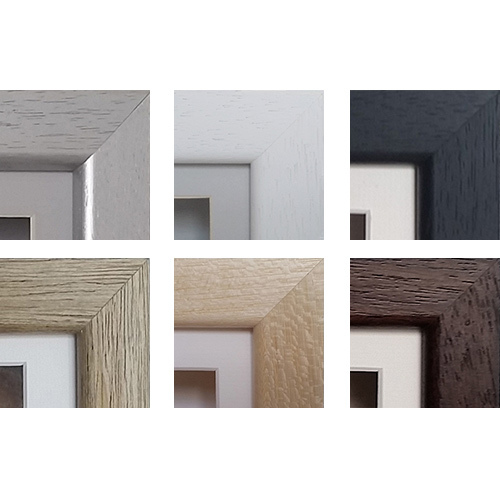 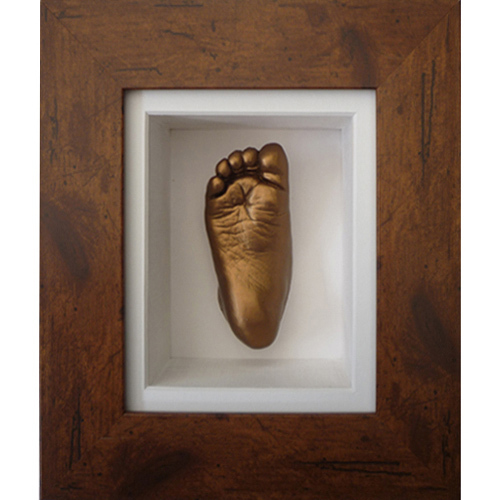 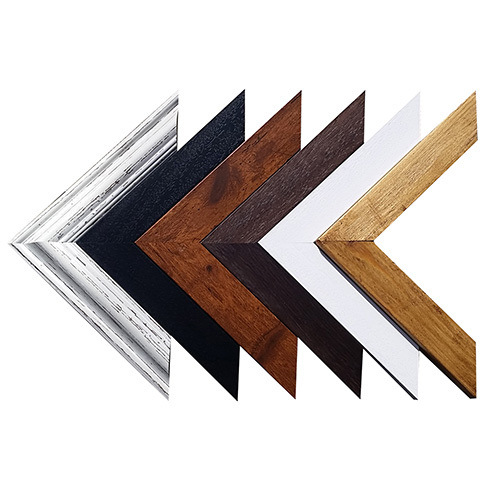 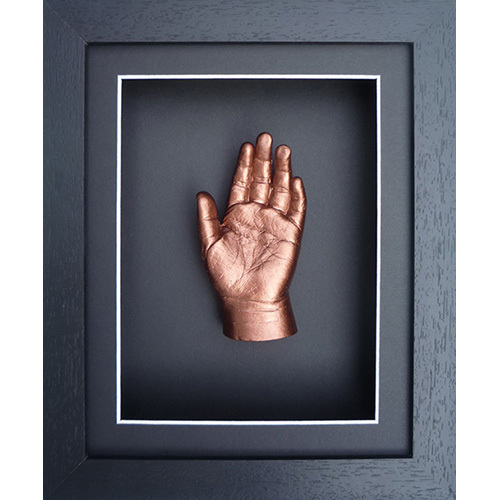 Please note: This frame is a bevelled Creative Castings frame and is different to our Classic, Contemporary or Luxury Hardwood frames.